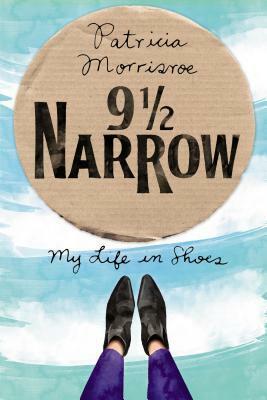 9 1/2 Narrow is touching, funny and uplifting, a charming memoir about significant events in author Patricia Morrisroe’s life told through the framework of the shoes she wore at each incident. It’s fascinating to realize just how symbolic a choice of footwear can be. I love how she credits meeting her husband to the shoes she wore — she happened to be tying her laces at the same time he passed by — and then later details how his collection of a certain type of athletic shoes became a cause of strain in their marriage. I also especially love the section when she wore a pair of fashion forward shoes at a new school to be cool only to discover that the popular girls were all wearing a completely different style — the incident turns into the type of “mean girl” misunderstanding that must have been much more painful than the author’s lighthearted touch leads us to believe. Having grown up studying in an all-girls’ school, where we had to wear uniforms, I know all too well the importance of choosing the right accessories, and the right pieces of clothing over which we had some degree of control (i.e. shoes). My favourite part of this book by far is the relationship between Morrisroe and her mother, told through the lens of their constant battles over footwear. It’s a relationship other women may remember with their own mothers or daughters, and again, the lighthearted comedic touches of heated debates over shoes belie the deep bond between them. The tone of these segments stand out as well — in a mostly amusing series of anecdotes, there’s a poignancy to her encounters with her mother that tell a tale far beyond a story of shoes. The book reminded me of a shoe-related skirmish I had with my own mother, over the height of the heels I could wear to my high school prom. Having been constrained by a school uniform all my life, I had Disney princess-ish visions of glamour for prom night, and those, in my mind, equated to high heels. I wanted four inch stilettos, my mom wanted nothing higher than an inch. We compromised with 3 inch chunky heels, and I was feeling like a glamourous princess for maybe the first hour, until I realized why my mom had been so adamant about low heels. Limping around at the end of the evening, I was grateful that she’d forced me into rounded toes and chunky heels. That memory is one in a series of many memories of high school and of my mother, yet even now, whenever I see a pair of four inch stilettos, or otherwise wobble around in heels wishing I were in flats, I remember my mom and my high school prom. It’s fascinating, the impact footwear has on us, and Morrisroe captures this feeling wonderfully in her memoir. Whether Morrisroe is arguing with her mom over a particular type of shoes, or falling in love with her husband over another pair, shoes play such a big role in our lives, and our choice in footwear tells so much about us. There are shoes I associate with particular friends or family members, and shoes I associate with particular moments in my life. And by framing her life in shoes, Morrisroe succeeds in drawing us into her life, and helping us visualize precisely the type of footwear that got her to where she is today. Thank you to Gotham Books for a copy of this book in exchange for an honest review. This entry was posted in Book Reviews and tagged 50BookPledge2015, Non Fiction, Penguin Random House, Shoes by Jaclyn. Bookmark the permalink.